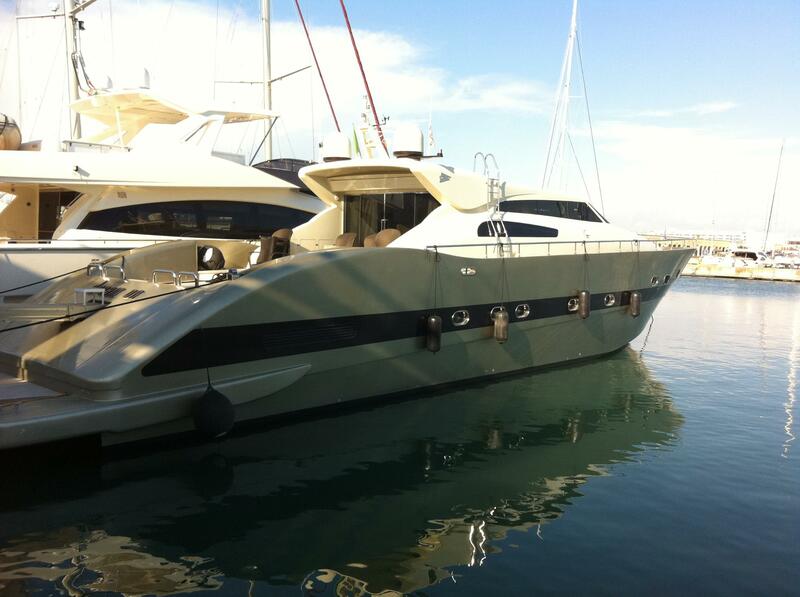 Motor yacht DREAM ON is a 27,7m (90.11ft) Tecnomar Velvet 90 design. 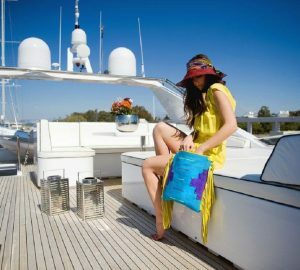 The yacht offers accommodation for up to 6 charter guests, in 3 cabins. 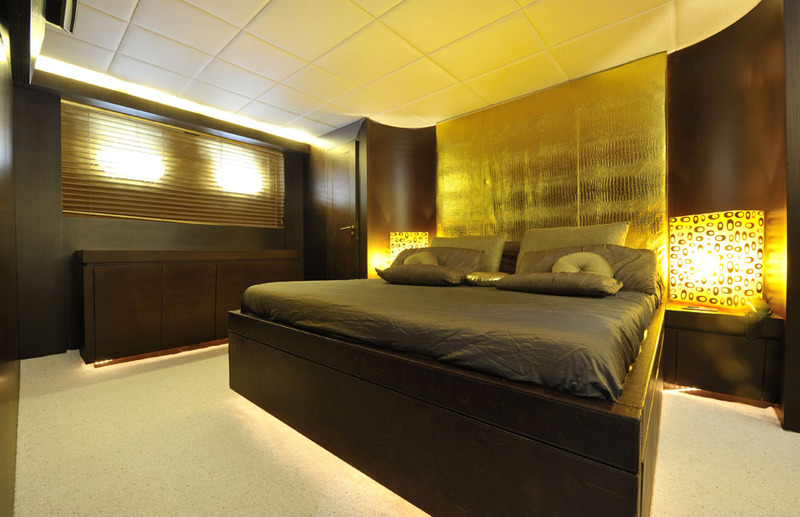 Her interior décor is minimalist and contemporary. 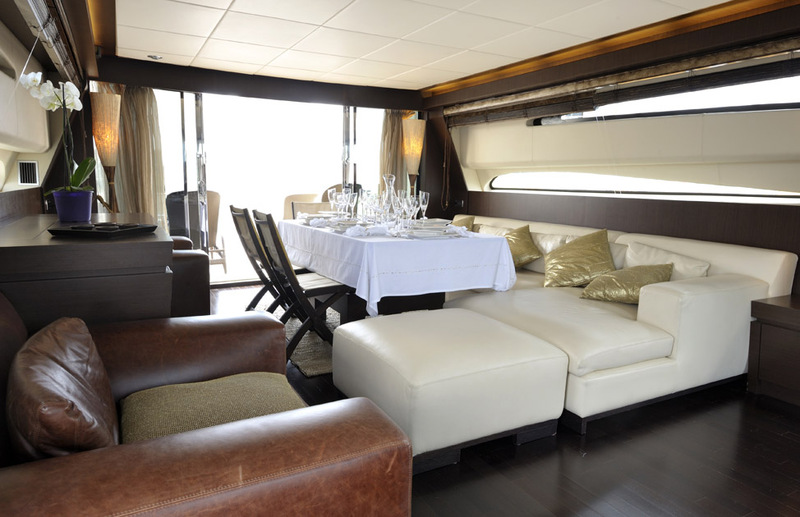 The main salon has elongated sleek side windows, a forward facing windscreen and wide sliding glass doors aft. 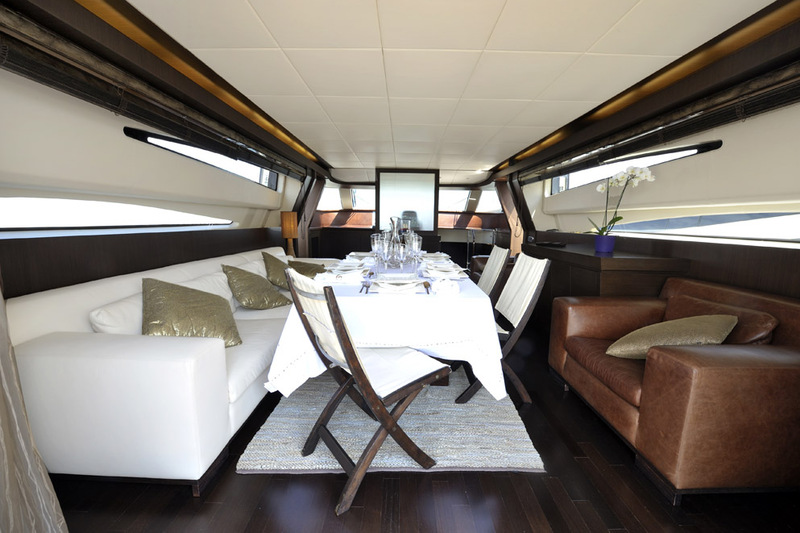 Wenge woods and crisp white leather soft furnishings create a relaxing atmosphere. 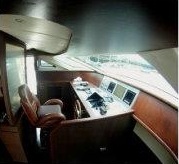 To port is a large sofa and coffee table, while to starboard are 2 plush occasional chairs, and full entertainment systems. 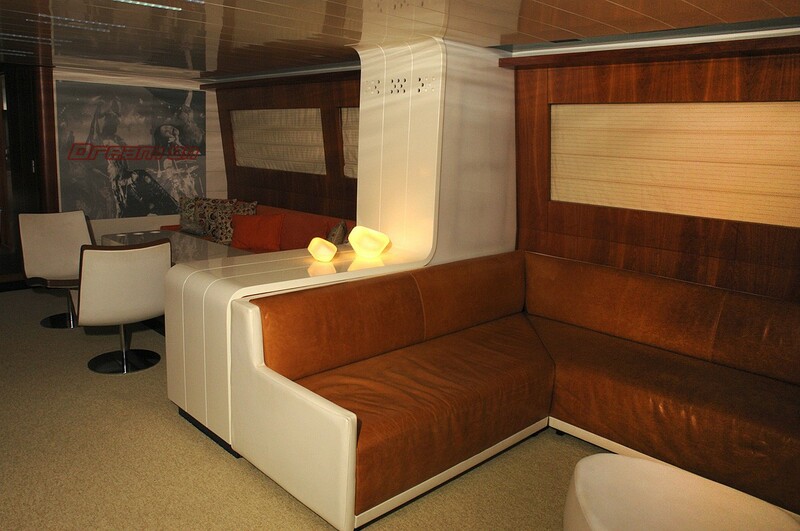 On the lower deck is a smaller more relaxed salon space, with the galley to port. 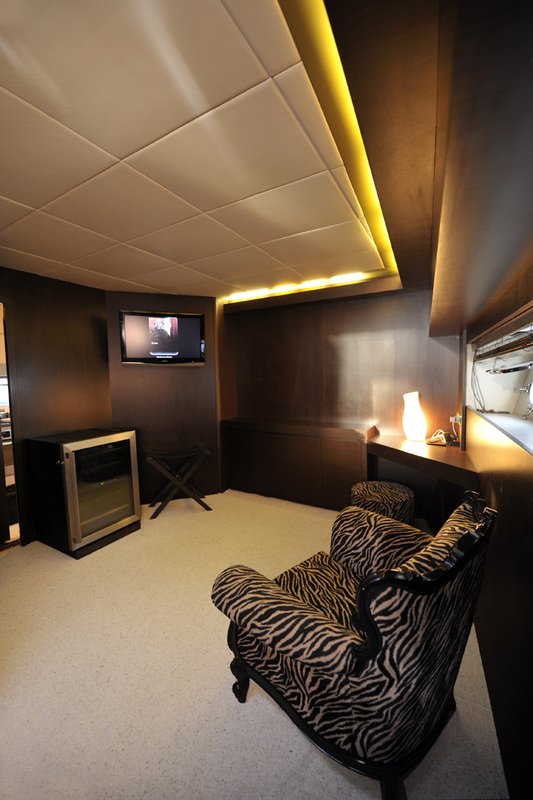 Guest accommodation is in 3 elegant cabins, each with private en-suite facilities. 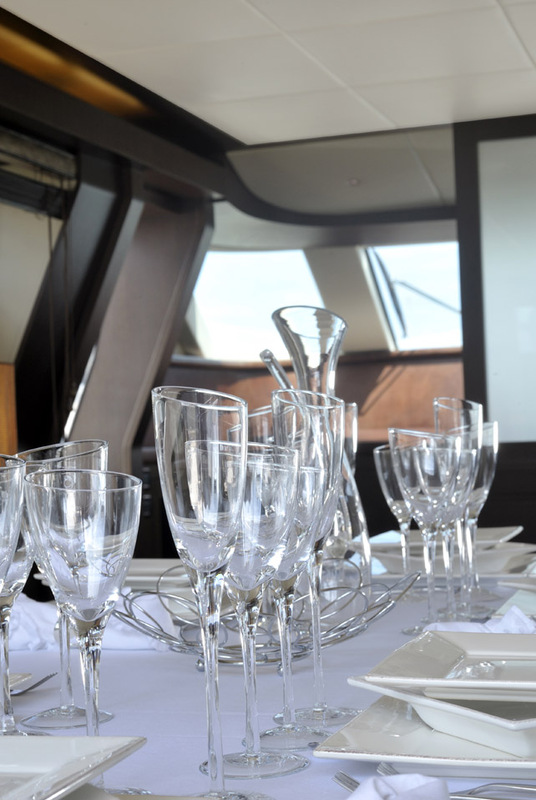 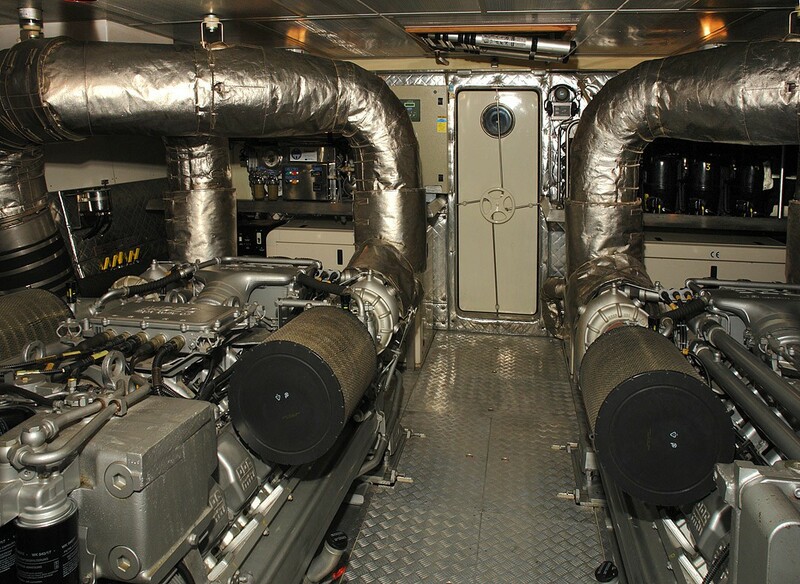 The exterior space aboard the yacht is well-appointed. 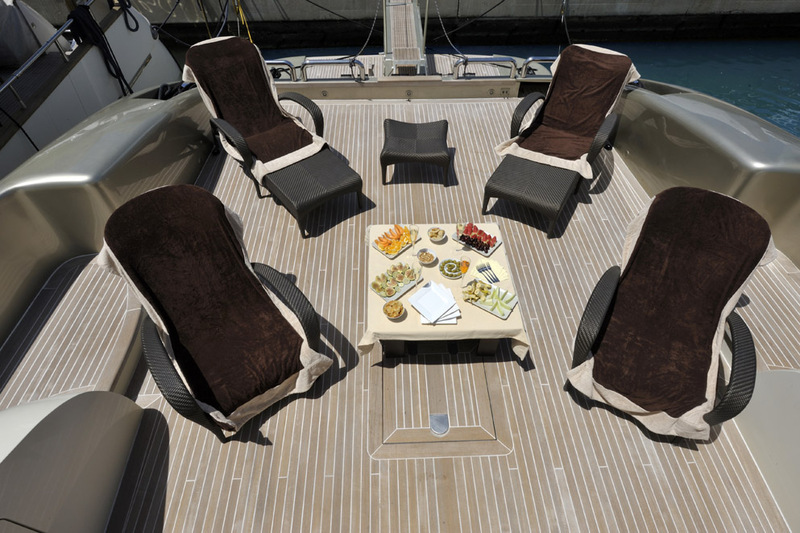 The aft deck is generous and offers a plenty of comfortable seating, an alfresco dining option and sun loungers. 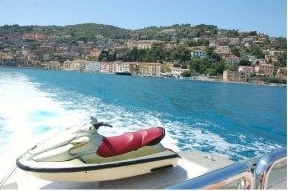 An extended swim platform provides easy access to the water toys on offer. 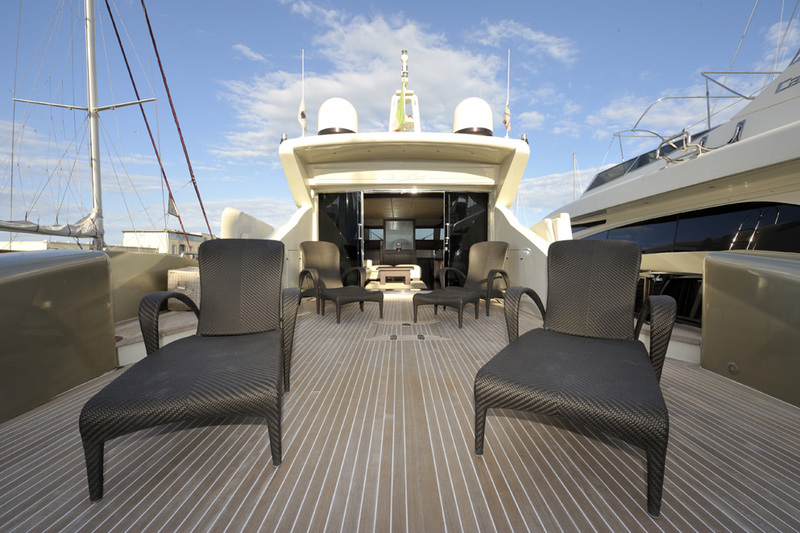 Her 360° wrap around main decks lead to a spacious foredeck and perfect sunning area. 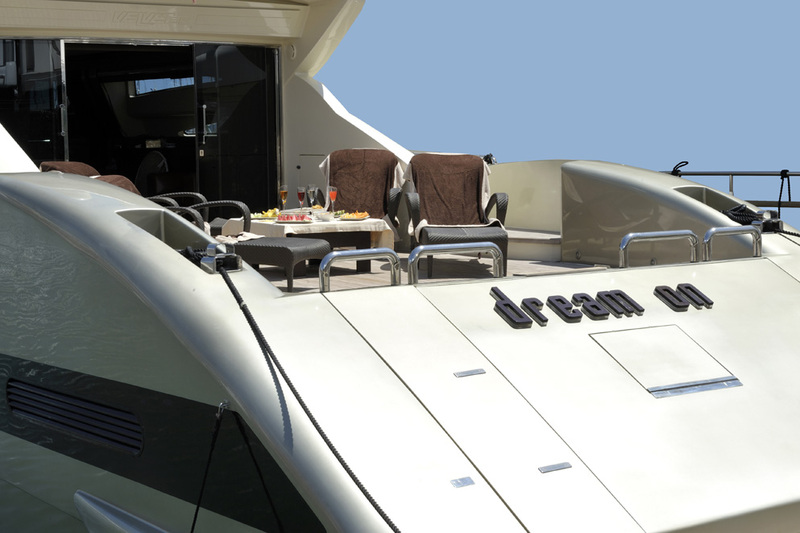 DREAM ON has a powerful planning hull design, she is powered by 2 MTU 2040hp engines and has cruising speeds of 32 knots. 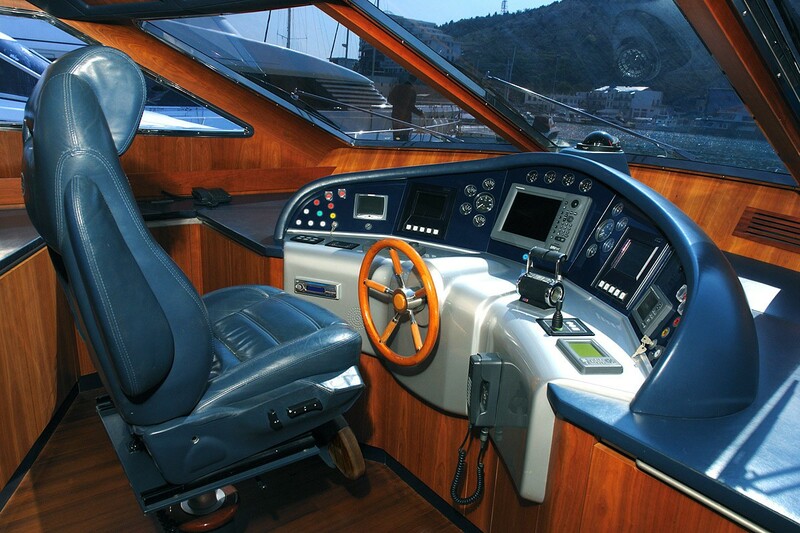 Under full power, the yacht can reach impressive top speeds of 38 knots. 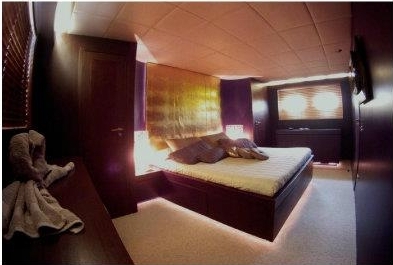 Accommodation is on the lower deck. 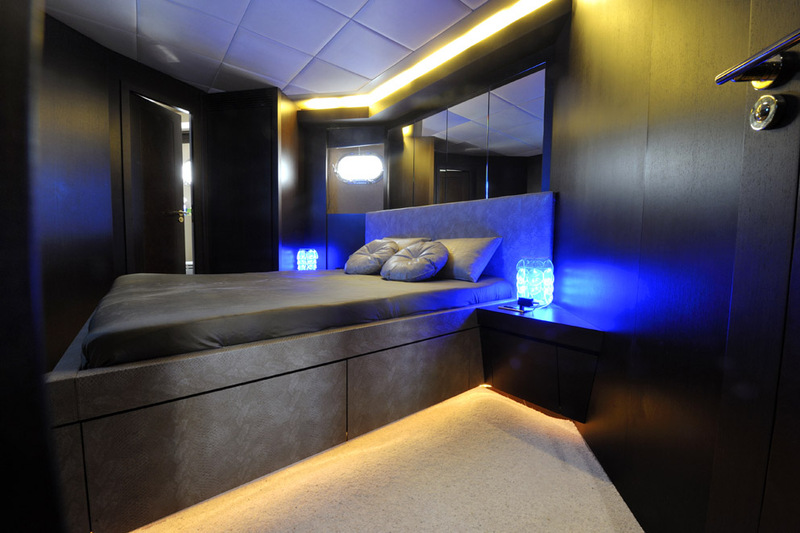 The master stateroom is full beam of the yacht and amidships, with a center lined king size bed. 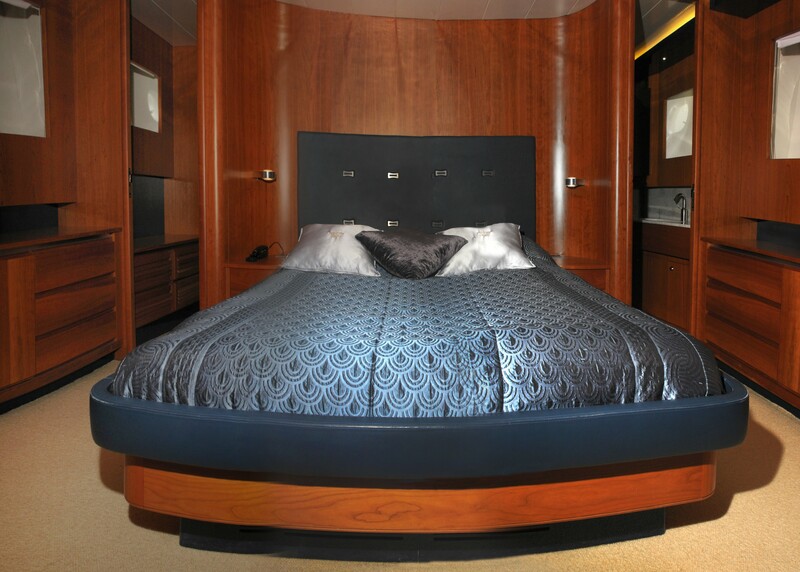 The VIP cabin has a center lined queen size bed. 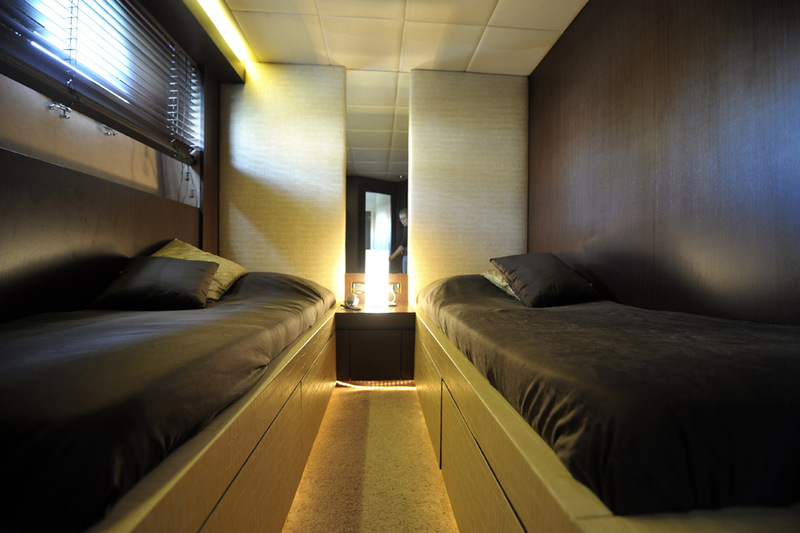 A further twin cabin offers side by side twin beds. 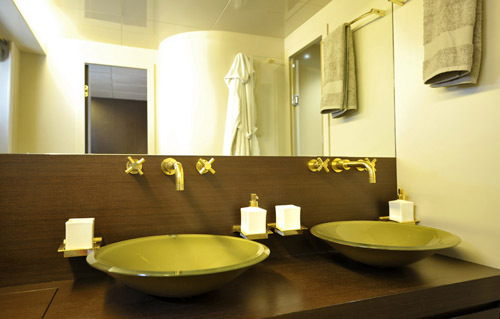 All 3 cabins enjoy private en-suite facilities, beautifully finished in bespoke mosaic tiling.